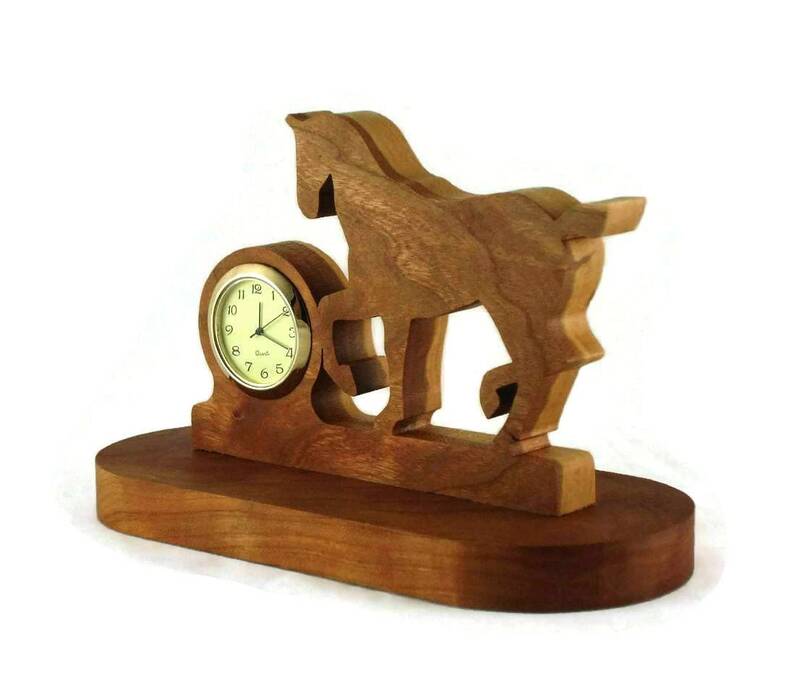 If you love horse's this prancing horse mini desk or shelf clock is the perfect gift to give yourself or a friend for them to proudly display on their desk or shelf. 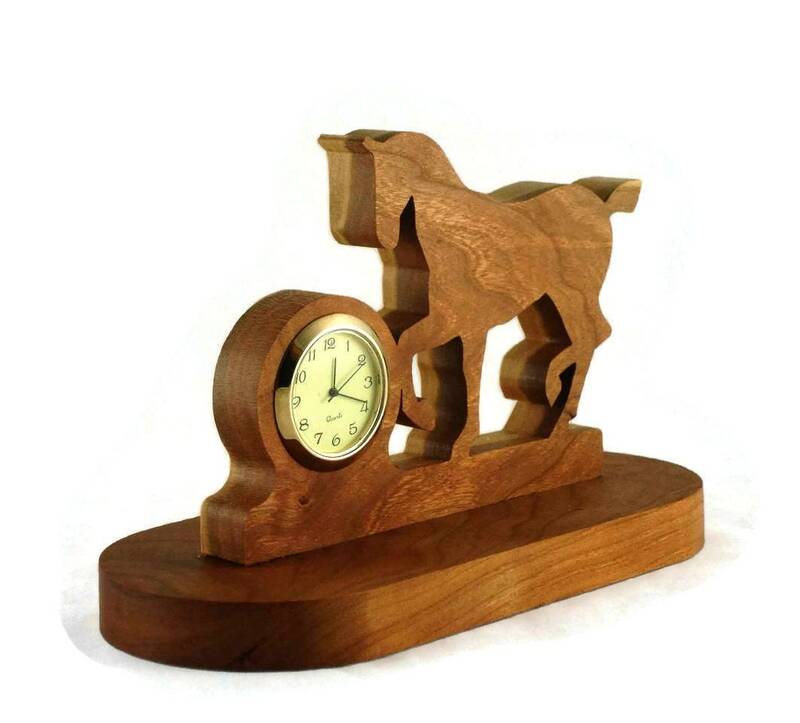 This prancing horse clock features a silhouette of a horse in a prance position with the clock in front of the horse. 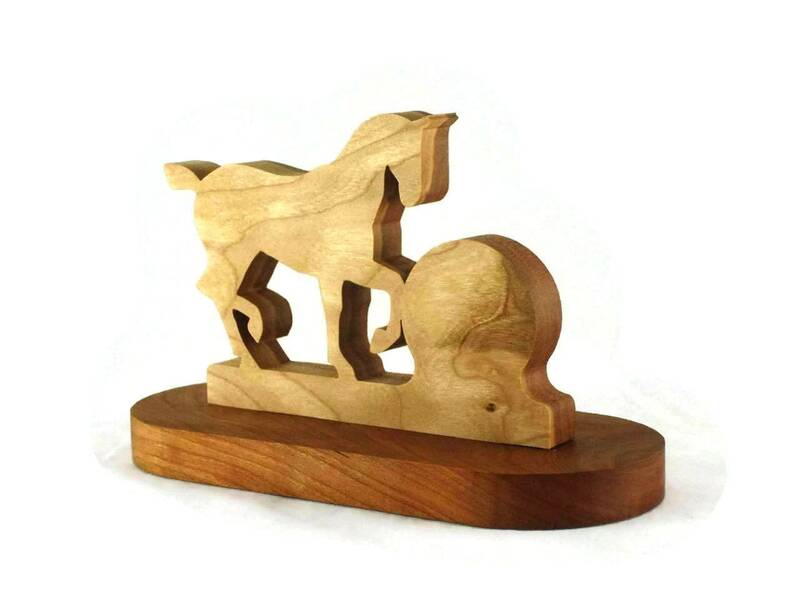 This was cut out by hand ( handmade ) using a scroll saw. 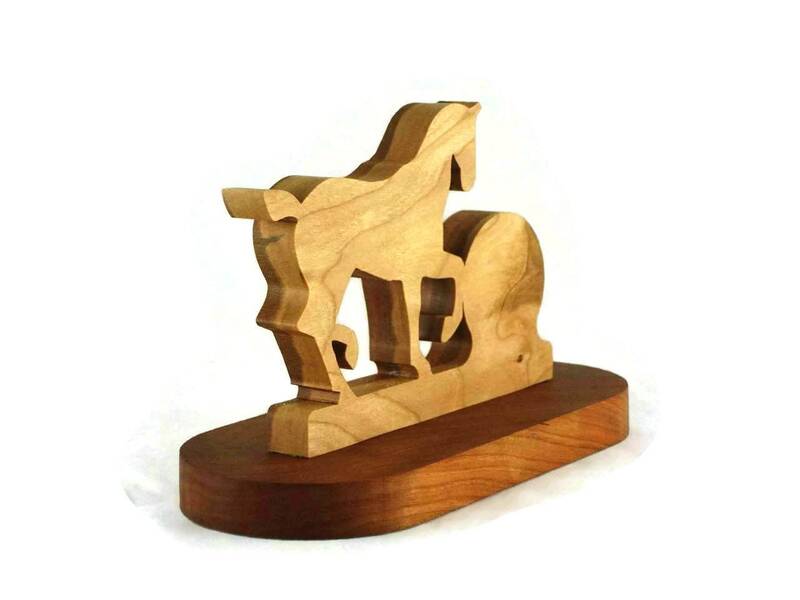 Made from a beautiful piece of solid Cherry wood that is 1/2 inch thick. A non-toxic all natural homemade bees wax and mineral oil finish was applied to this to bring out the natural beauty of the wood as well as to protect its natural beauty for many many years. 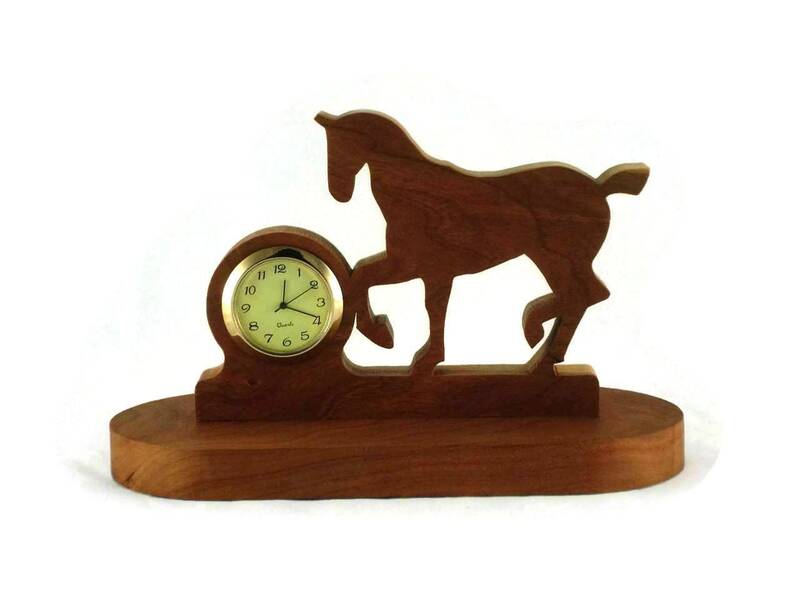 The 1-7/16 mini Quartz clock insert features a ivory colored face with black Arabic numbers. A glass lens with a gold plated bezel / trim around the edge of the glass. A stainless steel back cover covers the little button battery. This does come with battery installed and ready for you to activate it.